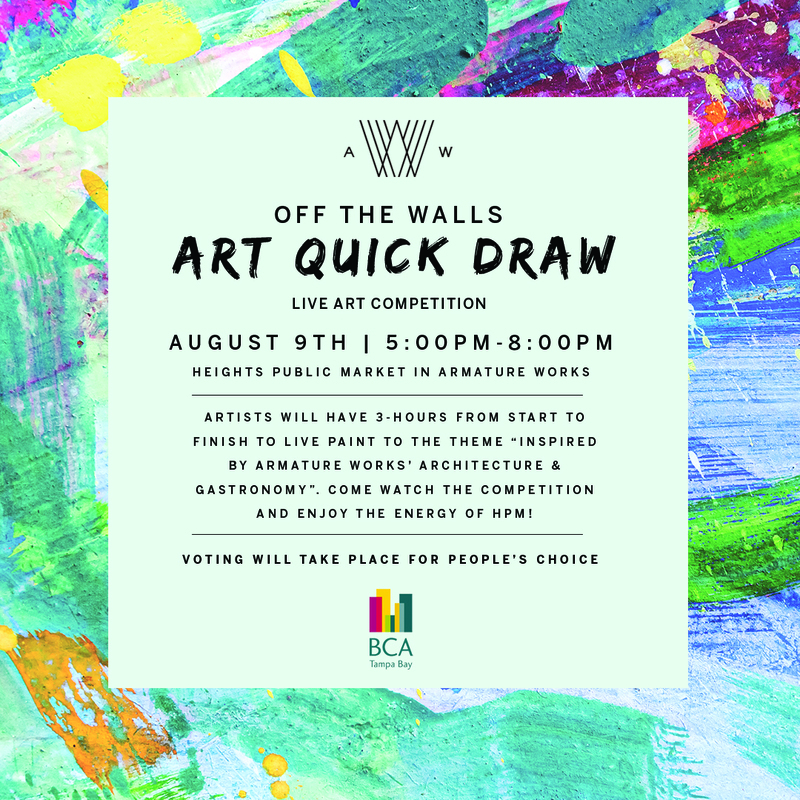 We are hosting a live art competition within Heights Public Market on Thursday, August 9th from 5-8pm. Artists will have 3-hours from start to finish to live paint to the theme of “Inspired by Armature Works’ Architecture & Gastronomy”. Come watch the live competition and enjoy the energy of HPM. Voting will take place for People’s Choice, the winner will receive a gift card from Armature Works and 50% of any vote donations, with 50% to non-profit TBBCA Charlie Hounchell Art Stars Scholarships to help high school students pursue higher education in the arts. This is an event for all ages that will allow local artists in the Tampa area showcase their talents.